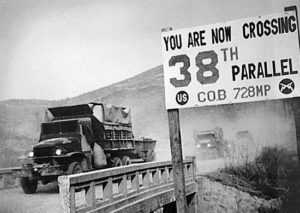 This week we close out our look at North Korea with three different scenarios for the future: War, reform, and reunification. None of the these futures are good. A war would kill millions. Reform could entrench a brutal dictatorship. 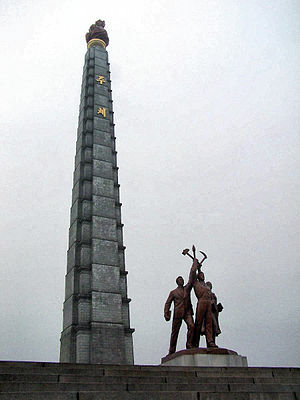 Reunification could create an impoverished underclass in a new Korea for a generation. 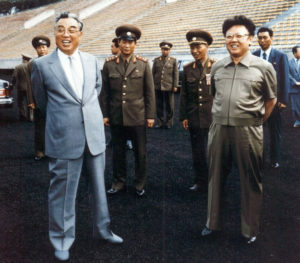 Even as its citizens starved, Kim Jong Il was able to assure that North Korea was able to obtain nuclear weapons. He did this by raising revenue with criminal activity, prioritizing the military above all else, bribing a Pakistani nuclear scientist, and reverse-engineering Scud missiles. The 1980s and early 1990s were a bad time for North Korea. 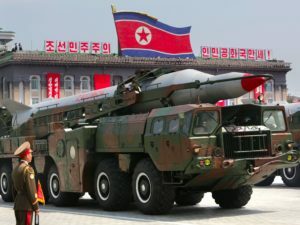 The DPRK had to endure South Korea hosting the 1988 Olympics, the country sunk billions of dollars into wasteful infrastructure projects, and the Cold War ended, depriving them of Soviet aid. 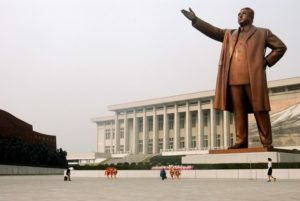 After that, North Korea suffered a symbolic blow in 1994 when Kim Il Sung, the Great Leader, died at the age of eighty two. 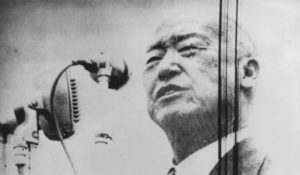 For years South Korea was a dysfunctional military dictatorship under leaders like Rhee Syngman and Park Chun Hee. Assassination, martial law, and political repression were the order of the day. 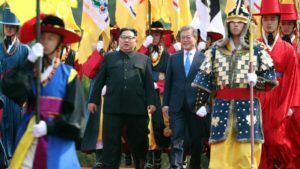 North Korean propaganda was able to exploit the militarism, chaos, and violence in their neighbor in propaganda, but after democratic reforms in the 1980s, the relative stability of the Korean peninsula is very different. For the most part. South Korea still does have the occasional presidential scandal. Pad Thai is now heavily associated with Thai cuisine, but it’s a relatively modern invention. Noodles were probably imported to Thailand via either China or Vietnam, and the style of cooking of the noodles seems to indicate that it stems from other noodle dishes from southeast China. Noodles in general, and pad Thai in particular, were popularized in the 1930s and 1940s as a way of intentionally giving Thailand a national dish. 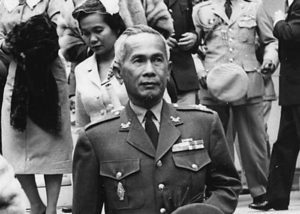 The prime minister behind reforms, Plaek Phibunsongkhram, also attempted to give his country a militaristic code of valor, fewer vowels, gendered names, and mandatory hats. Of his reforms, pad Thai is the only one that remains. 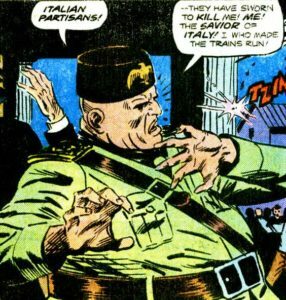 Italy’s fascist regime sought legitimacy by packaging itself as an extension of past Italian glory. 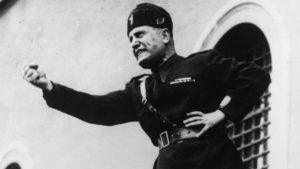 Under Mussolini Italy “restored” numerous Roman, Renaissance, and medieval sites, and sought to tie in the glories of the present with those of the past. 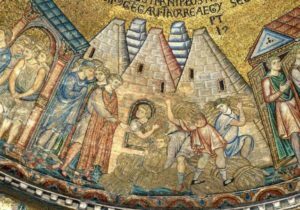 Unfortunately, most of these “restorations” had little to no basis in evidence-based history, and the fascists often ignored historical periods (such as the Baroque era) that did not suit there needs. 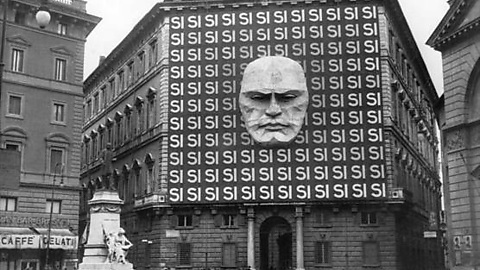 Below: Fascist party headquarters in the 1930s, featuring Mussolini’s giant head. 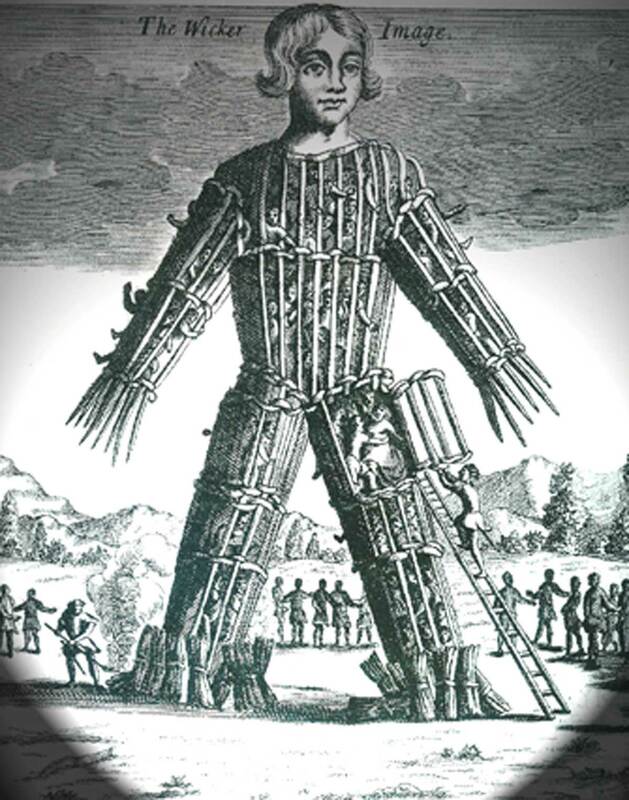 The Wicker Man is one of the most creative and fearsome execution devices of all time. 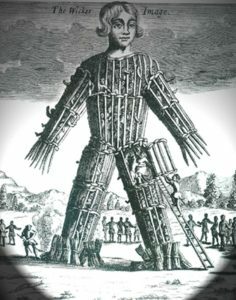 A figure of a giant, made of bent wood and reeds, looms up over a desolate Celtic moor, and hapless captives write inside of its cage-like form. A horde of barbaric and bloodthirsty Celts chant in the distance, eager to see the sacrifice, and a Druid, clad in fur and leather, ignites the massive statue and the captives within, sending them as a burnt offering to the insatiable gods who are forever thirsty for human blood. Like the iron maiden though, there’s scant evidence that the iconic wicker man ever existed. The only evidence that we have to go on is Julius Caesar’s propagandistic memoir The Gallic Wars. Despite that, though, burning effigy festivals are still popular throughout the world today. Guy Fawkes Night, the Burning of Judas, Zozobra, and, of course, Burning Man all remain immensely popular, despite the oldest known effigy probably being more folklore than fact. The story of the the Titanic is usually one of human hubris, and then nature putting humanity back in their place. Implicit in any Titanic narrative is a critique of technology in general, of human arrogance, and of the supposed ability of our species to strive in the face of insurmountable laws of nature. The Titanic, though, is not the best fit for that narrative. The ship sank, yes, but it still worked the way it was supposed to before it hit an iceberg. Another vessel, though, fits that profile better. The Vasa was an immense warship commissioned by the Swedish king Gustavus Adolphus in the 1620s. The gigantic ship was a marvel, and like nothing that the world had seen before. 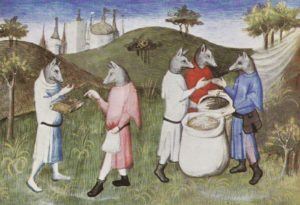 It dwarfed other vessesl, bristled with canon, and was covered with elaborate ornamentation. And then, under the weight of all of its fancy guns and ornamentation, sank on its maiden voyage. The Vasa was, quite literally, too fancy to live, and is a better example of boat-based overreach and arrogance than the Titanic ever was. 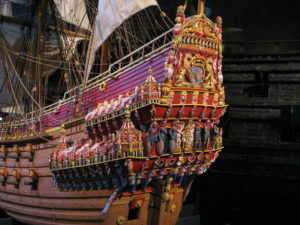 The image below is of a 1:10 scale model of the Vasa at Stockholm’s Vasa musuem, and it shows off some of the elaborate ornamentation that covered the exterior of the ship. The Vasa on Atlas Obscura. Video of the Vasa’s recovery in 1961. A famed artifact, the Cyrus Cylinder, has often been cited as an early proclamation of human rights. The Shah of Iran, the UN, a Nobel Peace Prize winner, and an American president all hailed Cyrus the Great as an early innovator of liberalism and tolerance. Unfortunately, though, the historical record does not bear those claims out. Cyrus the Great was a monarch, and the world still falls for his ancient propaganda thousands of years later. View the Cylinder at the British Museum’s site. Read the text of Shirin Ebadi’s (sadly erroneous) Nobel lecture. Spiegel Online International on the fake translation and the use and abuse of the Cylinder.